There are millions of places to call home, why have one address? Small town charm with big city capabilities . Austin has a small town feel while having all the convinces of a capital city. The city has a youthful enthusiasm thanks to the University of Texas, soulfulness from being crowned the live music capital of America, and flavor because let's be real, Tex-Mex and BBQ are an entirely different food group down here. Must hit spots are Franklin’s for some of the best brisket you’ll ever eat, Half-Step for a smooth old fashioned, and Walton’s Fancy and Staple, a flower shop and deli combination owned by Sandra Bullock that makes you feel like you’re in a rom-com. An Art STudent's Dream Come True. Friday nights have a certain romance about them. Even more so if you are in the most romantic city in the world, Paris. If you’re an art student, Friday nights are filled with much more than romance, it’s Gothic, Victorian and Renaissance. Those under the age of 26 can get into the Louvre free every Friday night. Being a penniless, artistic, stereotype comes with some perks. One of those is not being able to afford French dinners, so to the marché instead. Some of the most beautiful fruits and vegetables can be found around the city weekend mornings. Don’t miss a 3 euro bottle of Rosé while sitting on the Champ de Mars for the best views of the Eiffel Tower. Eastern Europe on a budget. Zagreb, the capital city of one of the newest countries on Earth, has seen an increase in tourism the last few years. An eastern European city not yet on the Euro, makes it the perfect low budget European destination. Zagreb is nestled inland, surrounded by the beautiful Balkan mountains and just south of Austria. Just a few hours by car, the coast of Croatia has become a summer hotspot for celebrities and Game of Thrones fans. The Museum of Broken Relationships located close to downtown Zagreb, displays items couples use to own, along with a story about their broken relationship. It’s sad, funny, and a bar located at the end of the museum. Tkalčića is a street lined with cafes, bars and couches where locals and tourists go to sip espressos in the open air. Ancient Traditions thriving in a timeless city. When you think of Ancient Rome, you probably think of chariot races. Horses have been racing in Rome for thousands of years, and Romans are still in love with the race. Built in 1881, the Capannelle Racecourse remains to this day a popular spot for local and tourists alike. Located just south of Rome, it's a great way to spend a few Euros, enjoy the countryside and get an adrenaline boost. Don't forget to buy a bottle of wine and sip it on the Spanish Steps. A night locals picnic outdoors, exchanging food stories and a few bottles of wine. "The" Cinque Terre town you see everywhere. Manarola might be the most photographed town that you’ve never known it’s name. By now, I’m sure you’ve heard of Italy’s Cinque Terre. A small northwestern coastal region made up of 5 small villages. With very few or no cars available, the towns are only accessible by train or hiking. Manarola has been featured on soap ads, covers of romance novels and countless other places. Why? Because it’s the most picturesque, colorful and perhaps vertical of all the Cinque Terre villages. Check into Da Baranin Bed & Breakfast, request a room with a view, and spend your leisurely days walking around this quiet, vibrant village. The South Western most Point of Ireland. Book an Airbnb at Sheila’s. Take the train from Dublin to Cork. Get into a car with Sheila’s friend who drives you another hour west. Then meet Sheila where she teaches school. Get into her car and drive another hour west until you’ve reached the south western most point in Ireland. There, you’ll find magic. Farmhouses that have been passed down from generation to generation. Not many tourists come to this part of Ireland, which makes the locals even more warm and welcoming. There’s only one pub, one church and a lady that sells chicken eggs out of an honesty box in front of her house. Spend your days reading books in front of the fire, drinking pot after pot of hot tea, and walking down to the water. The town lives in the hills, but sits on the coast, promising only the bluest and greenest of views. Much More than a university town. Gainesville might be best known for the University of Florida, it's football obsessed fans, the birthplace of Gatorade, but it's becoming more than just a university town these days. With an up and coming downtown, Volta has been named the 10th best college coffeeshop in the country. Just a few blocks away is The Top and Bar Arcade, two of the best spots to spend a Saturday night. You can cheer on the Gators at a football game or a real gator at the Sweetwater Wetlands Park. One of the Top Ten destinations to learn how to surf. With it’s perfectly sand bottom beaches, Tamarindo’s Witch’s Rock Surf Camp is consistently named one of the best places to learn how to surf in the world. We booked a casita for 2 months and dedicated every morning to waking up early, grabbing freshly waxed boards and paddling into the horizon. Just a few weeks in, we were mastering the board and feeling comfortable in the warm bathwater temp ocean. Sunsets were spent in the ocean, bobbing up in the down with each wave watching the pastel sky blend into the turquoise bliss. Where Everyday feels like Ferris Bueller's Day Off. One of my desert island movies is Ferris Bueller's Day Off. When I was younger, I wanted to be Sloane Peterson. But as I’ve grown up, I realized I don’t need a Ferris Bueller to show me the beautiful world around me, I can be my own Ferris Bueller. Following Ferris’ itinerary, the first spot you can’t miss is the Art Institute of Chicago, voted the World’s best art museum. For the dare devils, make your way to the Skydeck where you can stand on a glass bottom floor 103 stories above the city. Chicago dogs are a stable for any diet, right? So visit Portillo’s for a bite before heading over to Three Dots and a Dash, a tiki speakeasy. No filter needed. Saturation is natural here. If you’ve never visited the sprawling fields of America’s midwest, add Wisconsin to your next roadtrip now. The blues are bluer and the greens are greener out in the middle. With small populations, don’t be surprised if you see more wildlife than people. Right in the heart of amish country, don’t be surprised if you see more horse drawn carriages than cars either. Stop in any small town, make your way to the closest watering hole and I promise you, you’ll have lively conversations and plenty of laughs with the welcoming locals curious about the out of towner. The perect place to people watch in the park. One of the most colorful cities in America, architecturally and humanistically, San Francisco is the perfect town to people watch. Pack a picnic to eat at Dolores Park or Alamo Square in front of the infamous Painted Ladies. For breakfast, my favorite bagel place in the world is at Katz Bagels in the Mission. In the evening, grab a hotdog at Rosamunde Sausage Grill and enjoywith a beer from the bar next door. The strange little town everyone needs to Discover. There's a magic that lives in the Chihuahuan Desert. Deep in West Texas, 7 hours from the capital of Austin, is the town of Marfa. Many make the long trek to debunk the 'must see to believe' Marfa Lights. Many to discover the oasis of Art that thrives here. But many come to discover this strange and wonderful town for themselves. With limited wifi and phone signal, Marfa forces you to look up from your screen and see the beauty around you. Stay at El Cosmico, a non traditional hotel consisting of vintage trailers, safari tents and tepees. Visit the infamous Prada store installation on the outskirts of town as well as Donald Judd's gallery, the Chinati Foundation. The Perfect cabin escape close to civilization. In western part of North Carolina, nestled in the middle of the Nantahala Forest, is the best small town you’ve never heard of. Topton provides the perfect cabin escape. Mostly known for it’s white water rafting, Topton is also home to many log cabins. In conjuncture with Andrews, the town next door, these two towns provide the perfect escape yet close to everything you need; a grocery store, movie theatre, coffeeshop and bar. If you’re looking for peace and quiet, come to Topton. We’re still dreaming of our morning fires in the fireplace, house shoes, and coffee on the porch days. Trendy lifestyle in a natural setting. For the last few years the village of Canggu has been a playing ground for those who love adventure, nature and artisanship. Every October Deus Ex Machina, a landmark in Canggu, hosts Slidetober a surf and motorcycle competition. Anyone can enter the competition, even if you don't own a bike. The event brings together locals, expats and tourists in awe of these monster machines kicking up sand in a normally quiet beach. Rice paddy fields, a surf break and trendy cafes make Canggu a paradise for those looking to escape the party scene of Kuta and Seminyak. Relax with a coconut at Old Man's beachside restaurant and practice your kick flips at Pretty Poison skatepark + bar. Settled smack dap in the center of Bali, hidden in the forrest is the small village of Ubud. It’s always been known as a sanctuary for meditation and yoga enthusiasts, but has recently been discovered by more mainstream tourist. The most popular attraction is the Money Forest, home to hundreds of monkeys you can feed and even take photos with. Among the forrest, you can still find pampering. The Udang House at Bambu Indah, featured in the New York Times, might be one of the most breathtaking hotel we’ve ever stayed in. The entire floor of our room is made of glass. Below is a shrimp pond that lights up at night. There are 14 houses on the property, each hundreds of years old. It’s set in the middle of paradise with views of the rice fields, plenty of good cooking and pampering that’s fit for a queen (or king). Knowledge is power. The history of Berlin is not only crucial to Germany, but to the rest of the world, and they know it by designing some of the best historical museums in the world. The Typography of Terror, a museum located in front of one of the biggest remaining pieces of the Berlin wall, is a maze of timelines, photographs and simplistic writings about Hitler’s rise and fall. It’s the first museum that really helped me understand how Germany thought process during WWII. To see another side of Berlin, take a walking tour. To add some color, do a graffiti tour, including a class on how to create your own stencil and a chance to graffiti your own work. A storybook village set in the French Alps. The home of Mont Blanc, the highest peak in the Alps, is a village that looks like it’s been ripped from a storybook. If you’re not here to sky, the next best thing to do is visit the Farmer’s Markets. Every weekend the air is filled with the smells of cheese and freshly baked baguettes while the singing butcher brings joy with ever tune he hymns. Take the gondola up to Aiguille du Midi to experience unbeatable panoramic views of the Alps. If you dare, step into the glass case overing 1,000m above the mountains. Every time I’m back in LA, I find myself back in Venice. It feels comfortable. I guess because it reminds me so much of back home in Austin. With one exception, the beautiful beach. Venice is very walkable, with trendy shops and cafes along Abbot Kinney Blvd. Grab a coffee at Intelligentsia or Blue Bottle, walk in the ever perfect weather, grab lunch togo at GTA and walk over to the beach for a picnic. If you're lucky, you might might find yourself in the middle of a film set. Movies and TV shows often film around LA and specifically Venice Beach. A storbook village set in the French Alps. A lifestyle that you could get use to. According to mythology, Hercules fought Giants and after defeating them he threw them into the Aegean Sea. The Giants then turned into huge rocks, forming the island of Mykonos. Amongst the rocks are the most perfect white alleyways, trimmed in blue, sitting on the edge of an Emerald colored sea. Walk around the old port for views of the infamous windmills and wind down for dinner at Little Venice. For some healthy competition, strap in and put the peddle to the metal at Raceland Go Karts. Visit Super Paradise, Psarou, or Aperanto Beaches for a dip in the Aagean Sea. Like living in a magazine spread. Greece's picturesque alleys without the tourist. Of the 6,000 islands that make up Greece, it’s hard to choose where to go! After visiting the popular once, Mykonos and Santorini, we made our way to Paros. 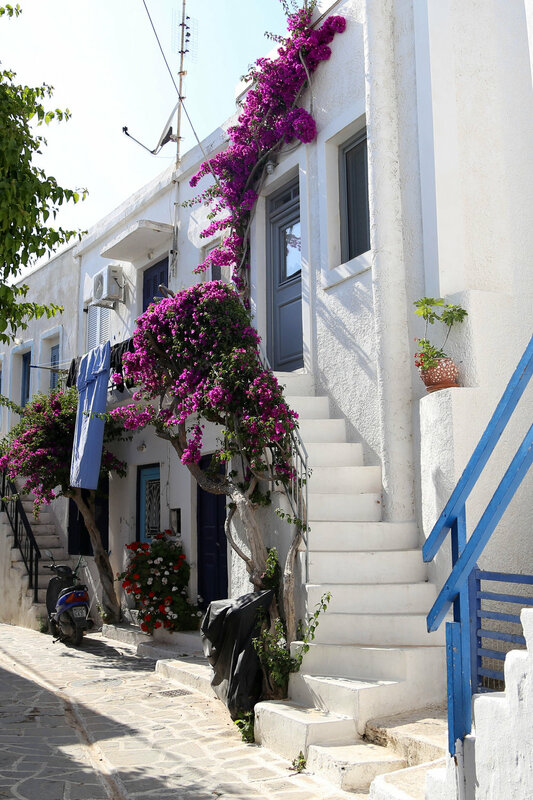 While the other islands see thousands of tourists, even in down season, Paros as the same picturesque alleys but without the tourists. 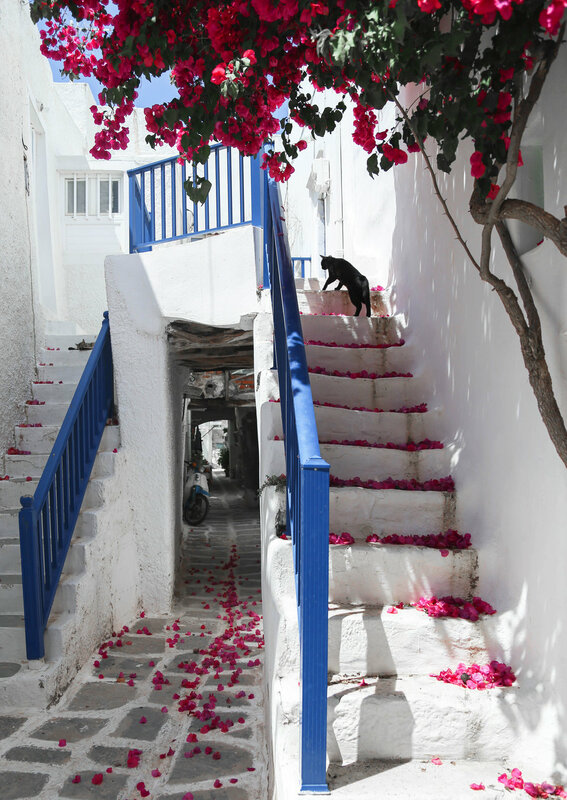 While wandering the white washed streets, you’ll cross the paths of a few dozen photogenic cats. If you see a church, peek inside. A night, grab a drink along the water at the submarine themed Nemo Bar. The Pilgrims' Original Landing before plymouth rock. Not many people know, but Provincetown is technically the first place the Mayflower landed. The Pilgrims didn’t stay long, farming is nearly impossible on sand, before they shipped out across the bay and landed at Plymouth Rock. Primarily a fishing town, P-Town is a safe heaven for the LGBTQ community of Massachusetts and the North East. During the off season, the town shrinks down to only a few hundred, but once the warm weather appears, it swells up to thousands. The winter really gives you a chance to get to know the locals. Don’t miss Drag Queen Bingo at The Little Bar, a walk to lighthouse and the 2nd floor the Public Library to see a life sized sailboat amongst the Children’s books. The "once in a lifetime" trip you can't wait to Go on again. Perhaps the best thing about Iceland is the fact there is nothing to do but drive. Get in your rental car, drive a circle around an island and just take in nature like you’ve never seen before. The waterfalls here are somehow different, more magical. Glaciers bobbing up and down in a lake will take your breath away. And a few days into your trip, you start to feel like you are on the moon. Protip, anytime you see the word “foss” written on a sign, pull over, it’s a majestic waterfall. After completing your road trip, there’s nothing better than a dip in the Blue Lagoon. Splurge and stay at the Silica Hotel, the official hotel of the Blue Lagoon. Not only do you get access to the Blue Lagoon, but a private section of the lagoon only available at the hotel. The Perfect City To Celebrate Halloween. Cobble stoned streets. A brisk wind blows at the nape of your neck. You look up to see the same stones that are below your feet match the buildings surrounding you. They are dark, rough, but somehow warm and welcoming. Walking Edinburgh's most famous street, the Royal Mile, in October is almost too perfect. The city becomes the ideal setting for any All Hallows Eve story. JK Rowling wrote the first Harry Potter book at the Elephant House cafe, so it's no wonder why much of Diagon Alley and Hogwarts resemble these streets. 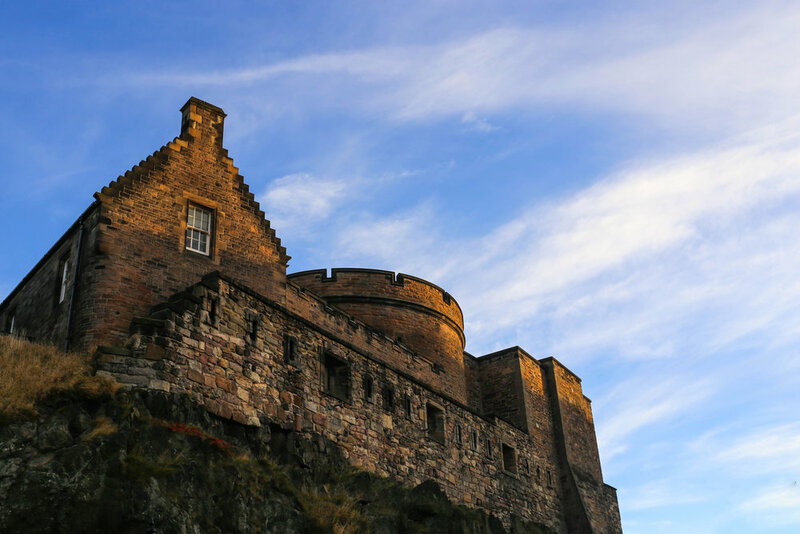 For centuries, people have walked the Royal Mile to reach Edinburgh Castle including Mary Queen of Scots and Queen Victoria. Can't miss spots are the Camera Obscura Museum, an interactive museum with some of the best views of Edinburgh and Panda & Sons, a prohibition themed speakeasy hidden behind a bookcase. A city finding it's own voice. Vietnam, a country that’s never really been it’s own for a long time, is finally finding it's voice. Ho Chi Minh City, known as Saigon until 40 years ago, is a city bustling with traffic and life. Remnants of the French still live within the architecture, but the food is 100% Vietnamese. Take a food tour to try dishes you won't get anywhere else such as fertilized duck egg and cobra wine. The War Remnants Museum is a popular and education museum that teaches the history of the Vietnamese War and includes abandoned US Military tanks and helicopters. Cafes and food stalls are a plenty, so stop by for a Vietnamese coffee and a new snack. THe melting pot of Asia. Kuala Lumpur feels like the New York City of Asia. It’s a melting pot of Malay, Indians and Chinese, not including expats who are taking advantage of the major airport hub. Not quiet on the same level as central park, KLCC Park is pretty impressive with a splash pads and playgrounds for kids, quiet benches to read and even a fountain show beneath the Petronas Towers. For street art lovers, visit the District Shop, a graffiti store surrounded by alleyways filled with amazing art. The aquarium boasts one of the longest aquarium tunnel in the world. Only 277 square miles, Singapore is a small country with big personality. It’s become a major hub for airlines and businesses. The ever-changing look of the city is still holding onto it’s traditions while embracing new hip restaurants and cocktail bars. The most instagram-able spot can be found on top of the Marina Bay Sands hotel. The infinity pool overlooks the entire city and is perfect for sunset cocktails. Just behind the Sands is the Gardens by the Bay which is home to the SuperTree Grove and the Cloud Forest, both must sees. 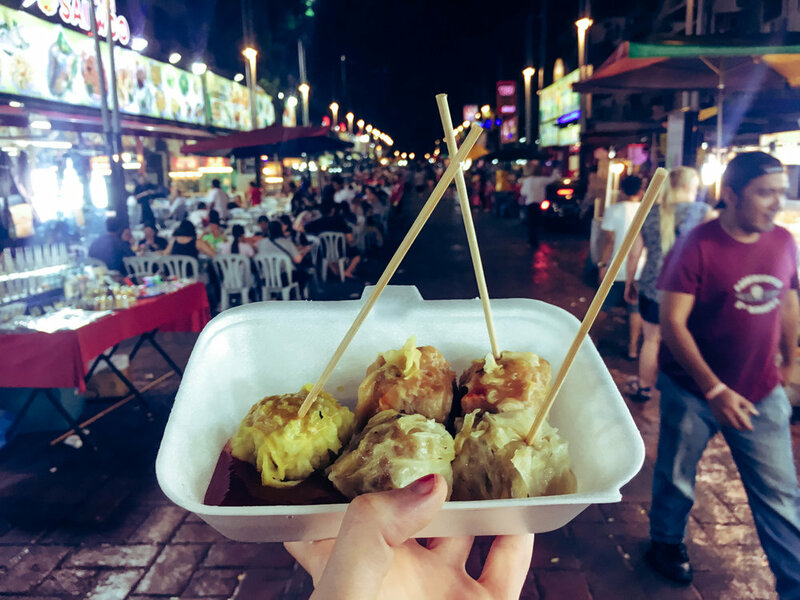 To get a real taste of Asia, visit Lau Pa Sat Festival Market, a large food court that’ll please any foodie of the group. A city to find your sweet and spicy. Located in the Sichuan province of China, Chengdu is known for two things: Spicy food and the Panda Research Base. Eleven baby pandas were born this year and we were fortunate enough to see them a few days after they were presented to the public. The Research Base, celebrating it’s 30th anniversary, has helped raise more than 100 pandas from birth. After a day oohing and awwing over baby pandas, head over to Jinli Street. With food stall after stall locals flock to Jinli Street because there's something for everyones tastebuds. 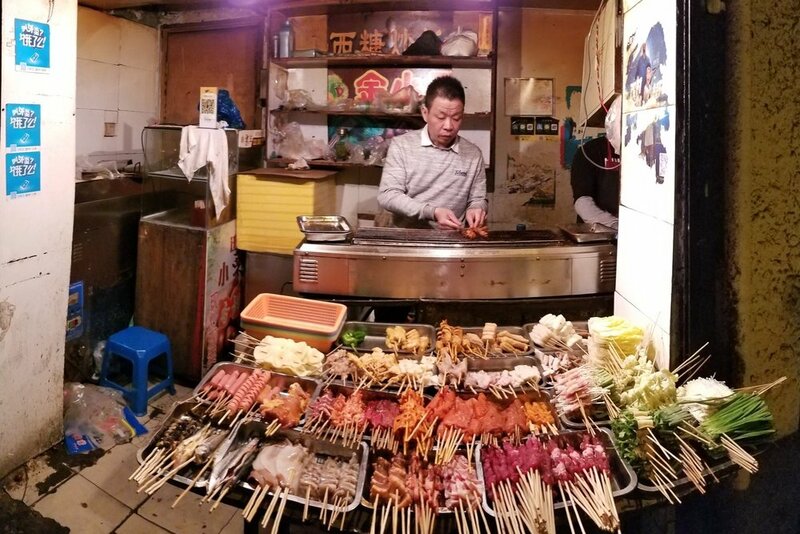 Tourists come here to try generations old recipes that you'd be hard pressed to find outside China like pig snout and chicken feet. Tradition and pride still at a high in the Capital City. China’s capital city brings you staggeringly large streets, architecture and flavors. Situated in the center of town is the Forbidden City, the 9,999 room palace was used for every Emperor of China from 1420-1912. Great Leap Brewing has a couple of locations, brewing their own unique beers infused with Chinese green tea leaves. Just on the outskirts of town is the 798 Art District. It’s a super trendy neighborhood filled with cafes, shops and art galleries. But don’t leave Beijing without visiting the Great Wall of China. Mutianyu is the newly repaired section of the wall complete with a gondola ride to the top of the wall. With sprawling mountains, the wall zigzags into the trees. The funnest way to go down the wall is by toboggan ride, yes, toboggan. Friendly foreign influence in traditional China. Shanghai’s French Concession neighborhood is a mix of Chinese culture and old world French influence. Originally set aside for the French to settle and trade with China, this neighborhood has since blossomed with trendy cafes and shops, while still nestling under the same tree lined avenues. Can’t miss spots include Uptown Records n’ Beer, a small record shop that sells, you guessed it, beer. The Bund is a popular spot right along the river to admire the skyline of Shanghai. Go at sunset for the perfect panorama against the pastel skies. Siu Yeh, the Chinese word for Midnight Snack, refers to all the street carts that come out after the sunsets. They’ll set up on street corners with a grill and a few chairs. Don’t be afraid to point and try anything that strikes your fancy. You can get an entire meal for under $5.